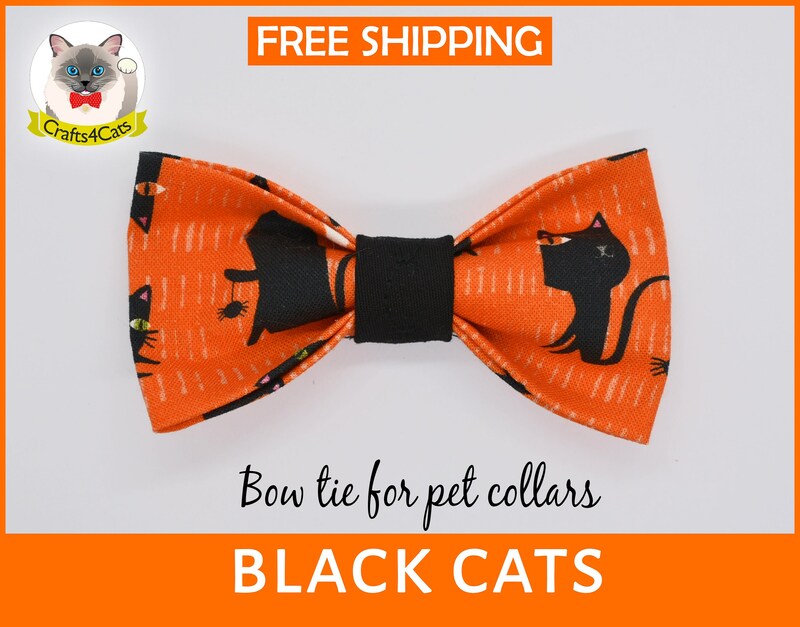 Cat bow tie 'Black Cats' will fit most small dog and cat collars. It is designed from strong, yet lightweight and soft cotton fabric. Would like a collar? I can offer a black cotton collar with this bow tie. All our collars are fitted with an D-ring to which a bell/a pet tag can be attached. A non-removable silver colour D-ring.